The latest fruit that has captured my taste buds is cranberries (although nothing can beat a good slice of a sweet, perfectly ripe pineapple). If shipping weren’t so expensive I’d be temped by the cranberries in the 64oz size. 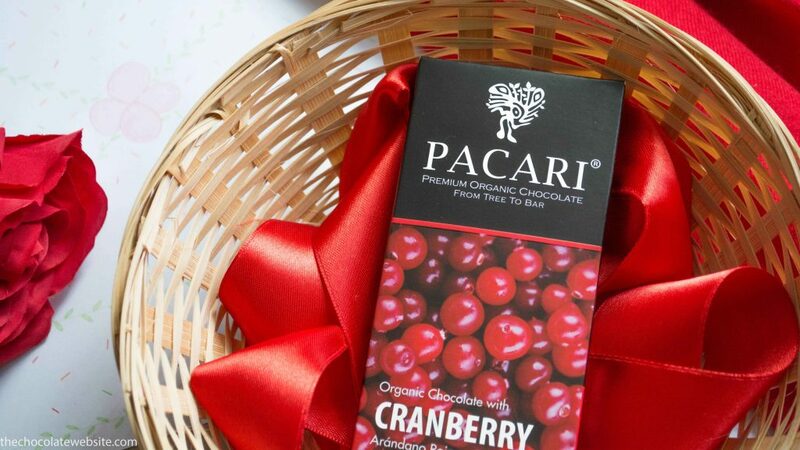 Pacari Chocolate (made in Ecuador) was once again a World Final Winner (in multiple categories!) at the International Chocolate Awards this year. Their bars seem to be widely popular everywhere (in the U.S. and Europe especially). The chocolate itself was delicious (yes, I know, I’m going to have to start being more specific than that…2018 is going to involve taking notes while staring at a tasting chart!) but I had a hard time finding many cranberries in my particular bar. You can never have enough cranberries!